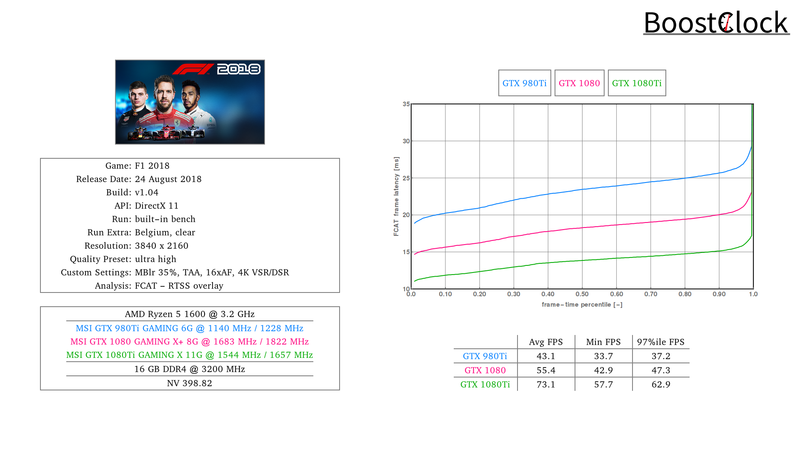 Can the top-end NVIDIA GPUs from Pascal and Maxwell push 60 FPS at 4K resolution in Codemasters latest Formula 1 game? Just as last year, the British racing studio released its F1 title at the end of August, just as Formula 1's summer break is over and the teams head to Belgium to play it out at the historic Spa circuit. 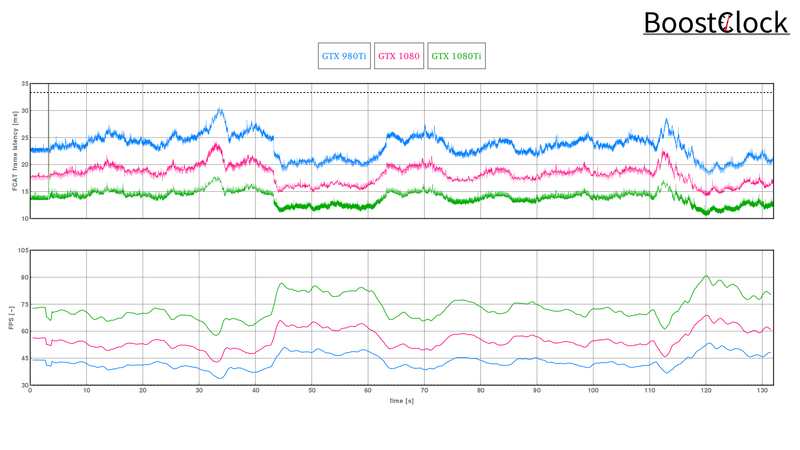 The built-in benchmark tool was used to measure the performance of the cards with ultra quality preset and TAA at 3840 x 2160 resolution. 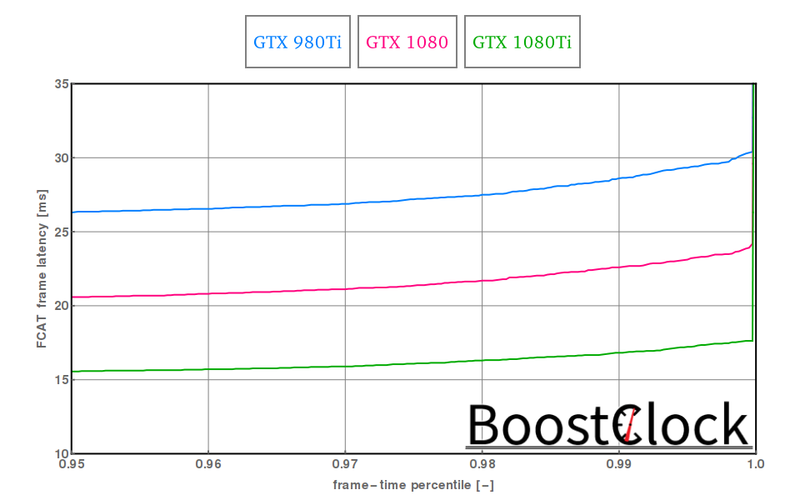 Frame pacing is excellent with all 3 cards, the GTX 1080 Ti only dipped below 60 FPS once and is 1.7x faster than the the 980 Ti. As always, one can dial back the graphics from ultra high to high to aim for lower frame times with minimal visual hit.